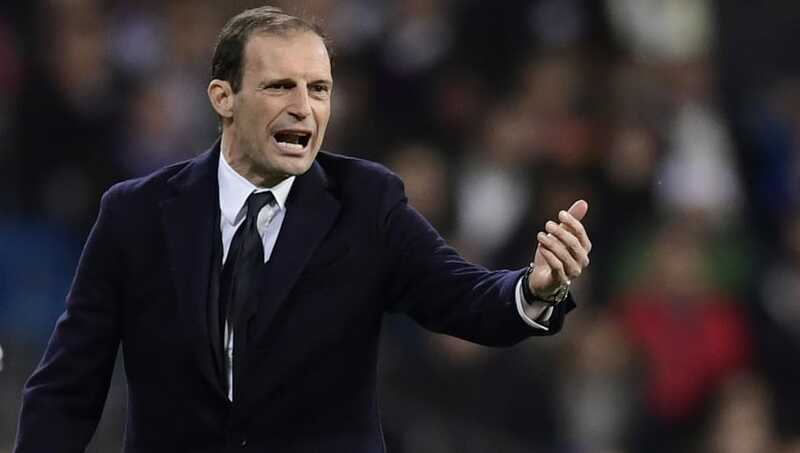 ​Juventus manager Massimiliano Allegri has furiously defended his players following their shock defeat against Napoli on Sunday. The Italian claimed that the Old Lady's non-stop schedule doesn't allow his players to rest throughout the season, while other clubs in the Serie A are "eliminated from every competition" before the second half of the campaign has even begun. A bullet header from Kalidou Koulibaly in the 90th minute gave Maurizio Sarri's Napoli a surprise victory in Turin at the weekend, and Allegri has slammed Juventus' busy fixture list as the catalyst behind their inability to control the game against the Ciucciarelli. "Juventus have been playing 57 games every season for the last fours years," Allegri vented in his post-match press conference, quoted by Calciomercato. "How many games do other clubs play? They stop in December, they are eliminated in the Coppa Italia, they are eliminated in the Champions League, they are eliminated from every competition and we play 57 games. "We can say nothing to the lads, we will play a great game on Saturday. I don’t know if we will play or if we will lose. When you play 57 games you lose lot of energies, physically and mentally. "Juventus played two Champions League finals in four years and were eliminated in the stoppage time in the other two occasions. The others have no more extra games to play from November." Juventus face tough away matches against Inter and AS Roma before the end of the campaign as they look to defend their ​Serie A title, but ​Napoli are just one point behind Allegri's side in second place. The Old Lady will also be joining ​AC Milan at the Stadio Olimpico in the final of the Coppa Italia next month as they look to secure another domestic double this season.